Cartman - Respect My Authoritah. Respect the Authoritah, RESPECT IT! XP. HD Wallpaper and background images in the साउत पार्क club tagged: south park cartman respect my authroitah fire splatter gun. 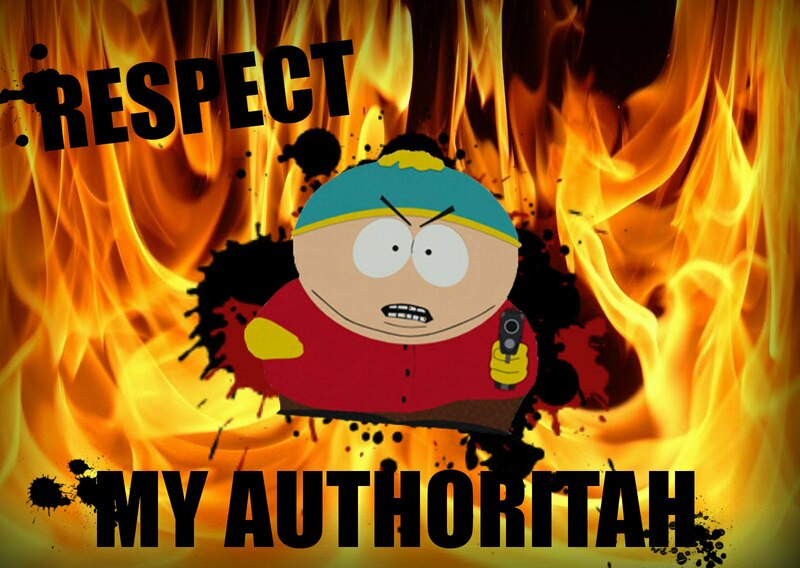 Respect my AUTHORITAH! *hits random person on the leg with a bat* RESPEEEEECT! i will not respect his authoritah !! !